Laser cutting of very thin walled tubes has developed rapidly in line with demands from the medical device industry. It is possible to Laser cut extremely complex shapes in 2 mm OD tubes with walls as thin as 0.2 mm. This application has placed severe demands on the conventional Lasers used. 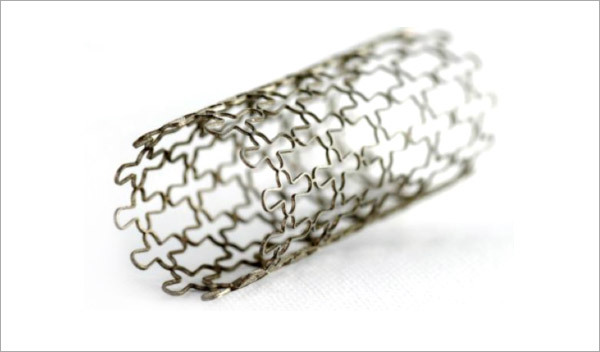 This Application Insight looks at industrial Laser cutting of stents exploring both stainless steel and nitinol stents, and examines the benefits of the Fiber Laser and its advantages over other alternative technologies within the medical industry. The average power required for these small scale tube cutting applications is in most cases relatively low, with most stainless steel stents typically being cut with 200-500W rated Fiber Lasers, with higher power levels needed only for nitinol. Certain specialist manufacturers now offer fully integrated Laser cutting systems / Laser cutting machines commercially fitted or retro-fitted with our Fiber Lasers. These Laser cutting systems / machines provide the sophisticated clamping and high accuracy multi-axis movement required for precision cutting of a range of different medical device materials. Precision cutting of this nature has until recently been performed by flashlamp pumped solid state Lasers using co-axial assist gas, usually nitrogen at relatively high pressure and flow rates. Fiber Lasers can produce very low taper high aspect ratio cuts with very little process optimisation. When compared with most solid state YAG lasers, kerf width, cut taper and recast layer thickness can all be significantly reduced. There is a significant improvement in the controllability of the cut due to the ability to freely modulate the pulse frequency and pulse duration. Visual observations of cut quality has been confirmed and enhanced by metallographic examination of transverse cross sections of Laser cuts. The high modulation speed up to 100kHz enables faster processing and increased productivity. 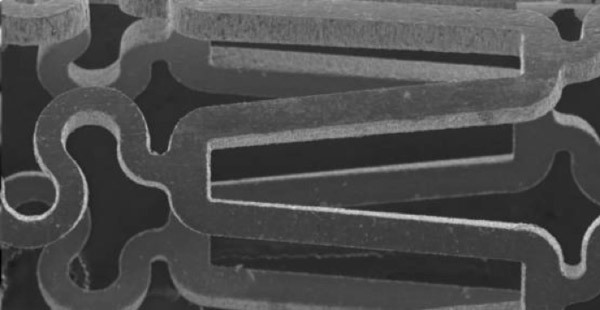 The high beam quality of the Fiber Laser gives small spot sizes down to 10µm, resulting in fine kerf widths. 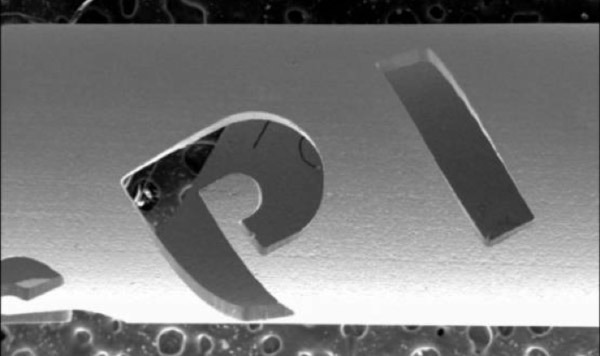 Laser output power stability leads to a stable cutting process. 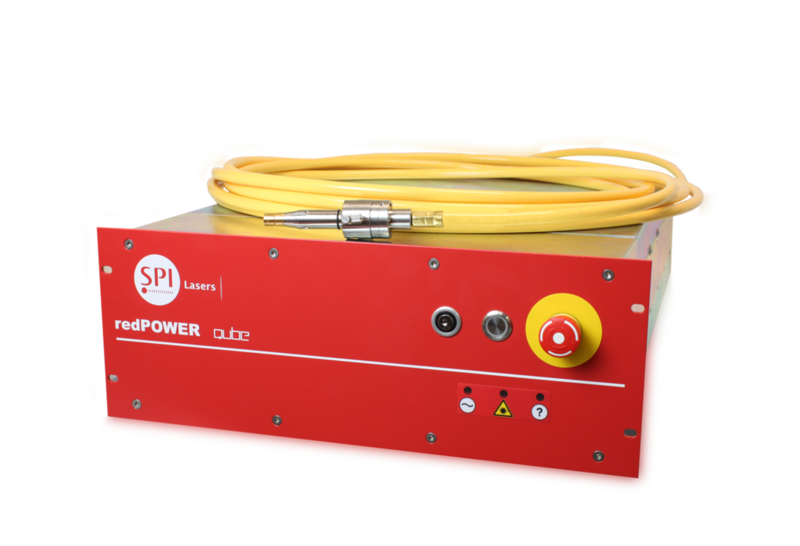 The Laser is self-contained and fits into a standard 19” rack and hence occupies far less floor space than a standard solid-state Laser system.